MAC Cosmetics Hello Kitty Charm Mirrored Keychain. Condition is New. Perfect condition. Shipped with USPS First Class Package. Free US shipping. 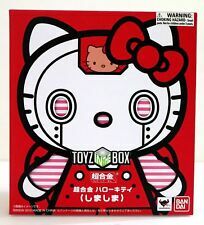 CHOGOKIN Hello Kitty is back in a charming new coloration to match her iconic red ribbon! Even the mini pilot Hello Kitty is clad in the new red overalls and cute pink striped shirt. Special display stand included that allows posing of Hello Kitty robot in all modes. 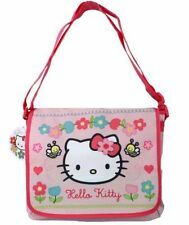 Hello Kitty Zip Pouch Bag (5). 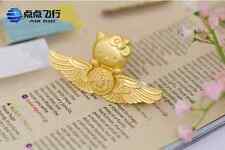 Flight of Fancy Mini Coin Purse. In the past, I have had a few of these, but they are very hard to find. Item has some general wear and age, ships for free first class mail in box with tracking. Payment is due within 1-3 days. Item ships same or next business days after payment is received. PayPal only, no returns. No e-checks please. International buyers please use the Global Ship Program. If you need alternative shipping options please contact me before buying. MADE IN 2000 BY General Electric. 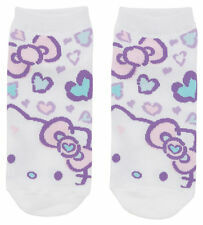 $100% Genuine Sanrio Hello Kitty licensed product. This is your chance to own a unique hard to find Hello Kitty soft silicone purse pouch. Found only in Japan! Limited Supply! Makes a great gift. 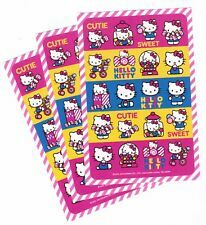 This is a Hello Kitty notepad set from 1985, made in Japan by Sanrio. This set includes a notepad that appears unused. The sheets are decorated with an image of Hello Kitty hugging a horse. There is a 5" white plastic ruler, a red eraser still sealed in plastic and a 3 page sticker book with unused stickers inside. Another great collaboration of Sanrio and Kiss! This may be a preowned item but the cookie cutters look like they have not been used. Tokidoki x Hello Kitty. Overnight Bag. We will try our best to delete the ones that have already been sold. -1 zipper pocket. -1 inside zipper pocket and 2 pockets. Go to a new web browser. This French Cafe cup is so unique! Features Hello Kitty with a darker blue dress, white wings and red, blue, and white bow. Wording on cup is in French and the background is pale blue usually associated with Blue Angel. Set of Hello Kitty with Unicorn Pez Dispensers. How cute is this?. Super Cute! Dated 1976 1986 Sanrio Co Ltd. Red plastic play case shaped like a school bus. Made in Japan. One pink car. One pink teedertodder. 2011 Vandor. Hello Kitty Oval Coffee Mug Cup Cocoa Tea. Large 20 oz. Pink White Red and Black. 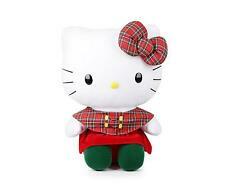 You are looking at a Helly kitty I phone or smart phone case/ wristlet wallet. Does not fit the larger /newer iphones. Tokidoki for Hello Kitty. Tokidoki for Hello Kitty Kimono Overnight Bag. Kimono Overnight Bag. In New Condition with defect. (see Photos). (see pictures). No original box or plastic bag. Check the photos for a detailed look at this item. Adorable collectible for Hello Kitty lovers, with her pink wings and pink heart lollipop. Kidrobot x Sanrio. Hello Kitty Fries Plush. The shoes in the pictures are exactly what you will receive. Does not include vans shoe box. Small Hello Kitty bottle is new, capacity 420 ml, from 1991 made in Japan. From 1996 made in Korea. Hello there. Artist: tokidoki. EMS is also available. High quality, authentic Sanrio product. Kit is in very good used condition. Towel and toothbrush are unused. Missing bar of soap. Shows very minor signs of handling. These rarely come on eBay... selling my whole HK collection. Years of collecting and running to Sanrio Stores in the Bay Area California. More to come. This is a NEW Hello Kitty POP Doll. Large Doll, Microphone, 4 Bracelets, Dress, Socks, Shoes. The doll and accessories are still securely in it's box. It is in the original box and never has been removed. HELLO KITTY SLUMBER SLEEPOVER 3 pc SET. FLEECE BLANKET, DUFFLE TOTE BAG & SLEEP MASK. The sleep mask is sealed in its own plastic bag so it will look better when removed. The blanket you get will also be sealed in its own bag. 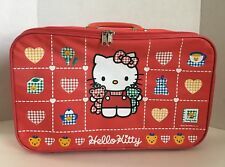 This sale is for a vintage Sanrio Hello Kitty Blue Angel pencil case tin. There is a slight dent on the top right side (7th picture). Please see pictures. Tokidoki x Hello Kitty. Shoulder Bag. We will try our best to delete the ones that have already been sold. -1 front zipper pocket. -1 inside zipper pocket. Go to a new web browser. Sanrio's Ai-tatA bags are designed so you can show the world all of your favorite things. - Acrylic ball chain trinket: 5"W x 4"L. - Tote bag: 15"L x 4.5W" x 11"H (cotton, spot clean only). - Plush keyring: 6"W x 4"L.